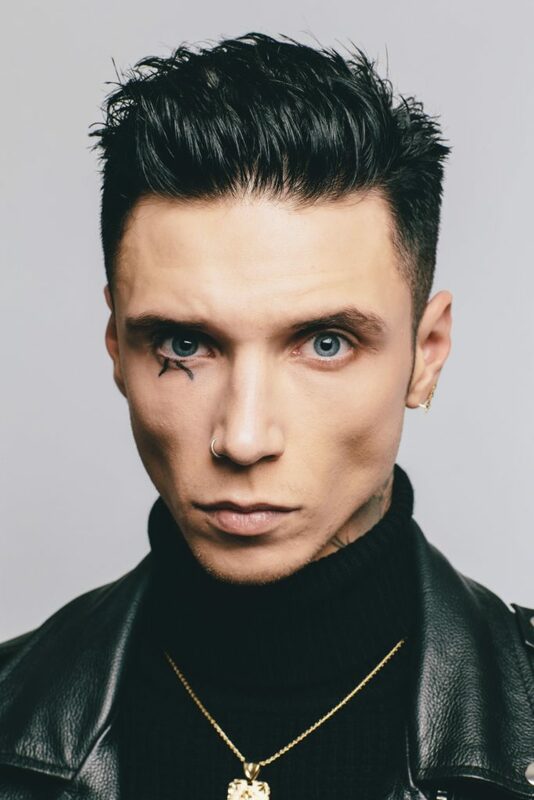 With two weeks to go before the arrival of much-anticipated album THE GHOST OF OHIO (Lava/Republic), singer-songwriter Andy Black has released new track “The Promise” – click HERE to listen and HERE for the lyric video. “The Promise” is the third song Black’s released over the course of the past several weeks following lead single “Westwood Road” (which has amassed over 1.5 million YouTube views) and title track “The Ghost Of Ohio” and all three songs are available as instant downloads by clicking HERE to pre-order The Ghost Of Ohio ahead of its April 12th release date. Black discussed the album during a recent interview with Build – click HERE to watch. Black will support the new album with The Ghost of North America Tour, a headlining run that will kick off April 7th at Ace of Spades in Sacramento, CA (see itinerary below). 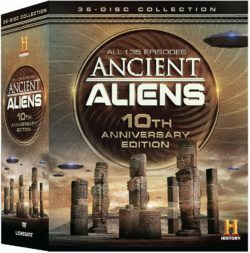 Fans of the acclaimed HISTORY® series can finally take the first ten seasons home in this incredible 36-disc collection when Ancient Aliens®: 10th Anniversary Edition Gift Set arrives on DVD June 12 from Lionsgate. Just in time for the show’s 10th anniversary comes this massive gift set featuring all 135 episodes and over 100 hours of Ancient Aliens® content. The Ancient Aliens®: 10th Anniversary Edition Gift Set will be available on DVD for the suggested retail price of $99.98, a savings of almost 50% over buying each season individually. Since its premiere on HISTORY® a decade ago, Ancient Aliens® has enthralled millions of fans as it endeavors to seek out and evaluate evidence of extraterrestrial contact with humans. The epic series explores the ancient and unexplained — all in search of humankind’s origins and even the secrets of the universe. From the age of dinosaurs to the mysteries of ancient Egypt, from early cave drawings to present-day sightings and cover-ups, Ancient Aliens® takes viewers on a provocative, thought-provoking journey around the world and across the universe, beyond our wildest imagination. This comprehensive set includes all 135 episodes from the first 10 seasons of the landmark series. Title Copyright: Ancient Aliens © 2010–2017, Cover Art and Design © 2018 A&E Television Networks, LLC. All Rights Reserved. Ancient Aliens, HISTORY, the “H” logo and A+E Networks are trademarks of A&E Television Networks, LLC. Distributed by LIONSGATE® under license from A+E Networks. Feature Run Time: 120 Hrs., 6 Mins. LOS ANGELES, CA (January 12, 2016) – Fans of all ages will rejoice as Twentieth Century Fox Home Entertainment’s THE PEANUTS MOVIE arrives on Digital HD Feb. 12 and Collector’s Edition Blu-ray™ & DVD March 8, 2016. Every underdog has his day in this fun, family film hailed by critics as “clever and charming” (USA Today), “the year’s best family film” and “funny and heart-warming” (CBS Radio News). Blu-ray™ and Digital HD combo pack on March 8 making it the perfect gift for Easter baskets. In THE PEANUTS MOVIE, good ol’ Charlie Brown, Snoopy, Lucy, Linus and the rest of the beloved Peanuts gang appear as you’ve never seen them before in a brand-new feature film from the imagination of Charles M. Schulz and the creators of Ice Age. Join everyone’s favorite eternal optimist, Charlie Brown, as he embarks on a heroic quest, while his beagle pal Snoopy takes to the skies to pursue his arch nemesis, the Red Baron. It’s a hilarious and heart-warming adventure! THE PEANUTS MOVIE is directed by Steve Martino (Dr. Seuss’ Horton Hears a Who!) and produced and written by Bryan Schulz, Craig Schulz and Cornelius Uliano. Paul Feig (Spy, The Heat) and Michael Travers are also film producers. With the Collector’s Edition Blu-ray™, DVD and Digital HD fans can go deeper into the world of THE PEANUTS MOVIE with these fun-filled special features! Watch all-new Snoopy Snippets, check out the delightful documentary about the film’s extraordinary journey from the comics to the big screen, learn to draw Peanuts characters, sing along to music videos, choose your favorite songs from Snoopy’s Playlist and more! Snoopy Snippets – Can’t get enough of your favorite Peanuts characters? These six all-new Snoopy Snippets will brighten your day! “Better When I’m Dancin’” Meghan Trainor Lyric Video – The Peanuts gang is dancing up a storm with moves like you’ve never seen before—and on-screen lyrics so you can sing along. Peppa Pig Live! Arrives This Weekend at Hard Rock Live Orlando! Description: Peppa Pig’s Big Splash is an action-packed live show, based on the popular Peppa Pig television series, designed to deliver to preschoolers and young fans an unforgettable first live theater experience. A fully immersive musical production featuring a dozen familiar and original songs, as well as an interactive sing-a-long, the live stage show will have fans laughing, singing, dancing and of course jumping in muddy puddles too – just like Peppa. In Peppa Pig’s Big Splash, the nursery roof is leaking and Peppa and her friends need to fix it quickly. They set up a fair to raise money so Mr. Bull can do the repairs. There’s plenty of fun to be had as Peppa, George, Mummy and Daddy Pig, along with Danny Dog, Pedro Pony and Suzy Sheep work together to organize an exciting day out complete with a Champion Puddle Jumping competition judged by Mr. Potato, where everyone gets wet! An interactive experience full of singing, dancing, games, and muddy puddles, Peppa Pig’s Big Splash is a guaranteed blast for preschoolers and their parents alike! Burbank, CA, April 6, 2015 – From the creators of “The Matrix” Trilogy comes “Jupiter Ascending,” an original science fiction action adventure from filmmakers Lana and Andy Wachowski, arriving onto Blu-ray 3D Combo Pack, Blu-ray Combo Pack, DVD and Digital HD on June 2 from Warner Bros. Home Entertainment. Channing Tatum (“Magic Mike,” “Foxcatcher”) and Mila Kunis (“Oz the Great and Powerful”) lead a cast that includes Sean Bean (“The Lord of the Rings” Trilogy), Eddie Redmayne (“The Theory of Everything”), Douglas Booth (“Noah”), Tuppence Middleton (“The Imitation Game”), Doona Bae (“Cloud Atlas”), James D’Arcy (“Hitchcock”) and Tim Pigott-Smith (“Alice in Wonderland”). From the streets of Chicago to far flung galaxies whirling through space, “Jupiter Ascending” is written and directed by the Wachowskis. Award-winning producer Grant Hill, with whom they have collaborated since “The Matrix” Trilogy, produced the film, together with Lana and Andy Wachowski. Roberto Malerba and Bruce Berman serve as executive producers. “Jupiter Ascending” will be available on Blu-ray 3D Combo Pack for $44.95, Blu-ray Combo Pack for $44.95 and 2-disc DVD Special Edition for $28.98. The Blu-ray 3D Combo Pack features the theatrical version of the film in 3D hi-definition, hi-definition and standard definition; the Blu-ray Combo Pack features the theatrical version of the film in hi-definition on Blu-ray; and the DVD features the theatrical version in standard definition. All versions include a digital version of the movie in Digital HD with UltraViolet. Fans can also own “Jupiter Ascending” via purchase from digital retailers. Jupiter Jones (Kunis) was born under a night sky, with signs predicting that she was destined for great things. Now grown, Jupiter dreams of the stars but wakes up to the cold reality of a job cleaning other people’s houses and an endless run of bad breaks. Only when Caine (Tatum), a genetically engineered ex-military hunter, arrives on Earth to track her down does Jupiter begin to glimpse the fate that has been waiting for her all along—her genetic signature marks her as next in line for an extraordinary inheritance that could alter the balance of the cosmos. Blu-ray and Digital HD include bonus content featuring interviews with Clint Eastwood and the cast! Burbank, CA, September 2, 2014 – Based on the Tony Award-winning musical, “Jersey Boys” arrives onto Blu-ray Combo Pack, DVD and Digital HD on November 11 from Warner Bros. Home Entertainment. Directed by Oscar® winner Clint Eastwood (“Million Dollar Baby,” “Unforgiven”), “Jersey Boys” is an inspiring drama featuring The Four Seasons’ songs that influenced a generation. “Jersey Boys” stars John Lloyd Young, who reprises his Tony Award-winning portrayal of the legendary lead singer of The Four Seasons, Frankie Valli. Erich Bergen stars as Bob Gaudio, who wrote or co-wrote all of the group’s biggest hits. Michael Lomenda and Vincent Piazza star respectively as Nick Massi and Tommy DeVito, two original members of The Four Seasons. Oscar® winner Christopher Walken (“The Deer Hunter”) stars as mobster Gyp DeCarlo. Clint Eastwood directed “Jersey Boys” from a screenplay and musical book by Marshall Brickman & Rick Elice, song music by Bob Gaudio and lyrics by Bob Crewe. “Jersey Boys” is produced by Clint Eastwood, Graham King and Robert Lorenz, along executive producers Frankie Valli, Bob Gaudio, Tim Moore, Tim Headington, James Packer and Brett Ratner. “Jersey Boys” will be available on Blu-ray Combo Pack for $35.99 and includes the film in high definition on Blu-ray disc, DVD, and a digital version of the movie in Digital HD with UltraViolet. Fans can also own “Jersey Boys” in Digital HD via purchase from digital retailers. “Jersey Boys” tells the story of four young men from the wrong side of the tracks in New Jersey who came together to form the iconic 1960s rock group The Four Seasons. The story of their trials and triumphs are accompanied by the songs that influenced a generation, including “Sherry,” “Big Girls Don’t Cry,” “Walk Like a Man,” “Dawn,” “Rag Doll,” “Bye Bye Baby,” “Who Loves You,” and many more. These classic hits are now being embraced by a new generation of fans through the stage musical, which has been running on Broadway for more than eight years and has also enjoyed successful tours around the globe. “Jersey Boys” will be available for streaming and download to watch anywhere in high definition and standard definition on their favorite devices from select digital retailers including Amazon, CinemaNow, Flixster, iTunes, PlayStation, Target Ticket, Vudu, Xbox and others. “Jersey Boys” will also be available digitally on Video On Demand services from cable and satellite providers, and on select gaming consoles. *Digital HD with UltraViolet allows fans to watch a digital version of their movie or TV show anywhere, on their favorite devices. Digital HD with UltraViolet is included with the purchase of specially marked Blu-ray discs. Digital HD with UltraViolet allows consumers to instantly stream and download movies and TV shows to TVs, computers, tablets and smartphones through UltraViolet retail services like CinemaNow, Flixster, Target Ticket, VUDU and more. For more information on compatible devices go to wb.com/ultravioletdevices. Consult an UltraViolet Retailer for details and requirements and for a list of HD-compatible devices. LOS ANGELES, CA – Unleash the fun at home with the hilarious comedy-adventure, DreamWorks Animation’s MR. PEABODY & SHERMAN! Mr. Peabody (Ty Burrell) is an inventor, scientist and genius who just happens to be a dog. With his son Sherman, he will embark on the most extraordinary adventure imaginable as they race against time to repair history and save the future. “Heartfelt and snappy” (Jessica Herndon, Associated Press), MR. PEABODY & SHERMAN has been hailed by critics as “a great adventure for the entire family” (Mike Wilbur, NBC Newschannel), receiving outstanding audience reaction and a coveted “A” CinemaScore®. Directed by Rob Minkoff (THE LION KING, STUART LITTLE) and from the team behind family favorite franchises THE CROODS and HOW TO TRAIN YOUR DRAGON, MR. PEABODY & SHERMAN is “fun” and “fast moving” (A.O. Scott, The New York Times) and features hilarious performances from an incredible voice cast of popular stars including Ty Burrell, Ariel Winter, Stephen Colbert, Leslie Mann, Max Charles, Patrick Warburton and Allison Janney. MR. PEABODY AND SHERMAN is based upon the beloved characters that first appeared in in the late 1950s and early 1960s animated television series “Rocky and His Friends” and “The Bullwinkle Show,” produced by Jay Ward. Sit back and go WABAC to experience the ultimate joy ride and loads of laughs when MR. PEABODY & SHERMAN arrives on Digital HD on September 23 and on Blu-ray 3D™, Blu-ray™ and DVD on October 14. Jay Ward fans will want to get the 3D Blu-ray™ release which has everything for enthusiasts to celebrate the Jay Ward legacy including a 5-minute All New Rocky & Bullwinkle short and several original TV episodes. ● Rocky & Bullwinkle & Friends Show – See the premiere episode of the original 1959 television show. ● Peabody’s Paw Print on History – We take part in the excitement as Mr. Peabody gets his pawprints in cement at the TCL Chinese Theatre. Cast members Ty Burrell (voice of “Mr. Peabody”) and Max Charles (voice of “Sherman”), join filmmakers Rob Minkoff (director), Alex Schwartz (producer) and Tiffany Ward (executive producer) for the festivities. Also on hand (or paw?) are some of Mr. Peabody’s very famous furry friends, including Lassie, Beethoven, Rin Tin Tin, and a very adorable dog named George Clooney. ● Tour of the WABAC Machine – Mr. Peabody, himself, takes us on an in-depth tour of the WABAC machine. He explains what many of the WABAC’s knobs, buttons, and gizmos do. Exactly what is a Pneumatic Dressilator? A hemidemisemiquavatron? And, those windshield wiper controls…how exactly do they help while speeding through the space-time continuum? Mr. Peabody explains it all! ● Time Travel: Mad Science – We talk to real physicists Kenneth Wharton and Anthony Aguirre to find out if there is any possibility of time travel, and if so, how it would work. We explore the two time travel theories of the Block Universe and the Multi-Verse. We also learn why scientists think only forward time travel is possible, and how Einstein’s Theory of Relativity still determines how scientists imagine the possibilities of time travel. DreamWorks Animation creates high-quality entertainment, including CG animated feature films, television specials and series and live entertainment properties, meant for audiences around the world. The Company has world-class creative talent, a strong and experienced management team and advanced filmmaking technology and techniques. DreamWorks Animation has been named one of the “100 Best Companies to Work For” by FORTUNE® Magazine for five consecutive years. In 2013, DreamWorks Animation ranks #12 on the list. All of DreamWorks Animation’s feature films are produced in 3D. The Company has theatrically released a total of 28 animated feature films, including the franchise properties of Shrek, Madagascar, Kung Fu Panda, How to Train Your Dragon, Puss In Boots, and The Croods. Twentieth Century Fox Home Entertainment is the industry leading worldwide marketing, sales and distribution company for all Fox produced, acquired and third party partner film and television programing. Each year TCFHE expands its award-winning global product portfolio with the introduction of new entertainment content through established and emerging formats including DVD, Blu-ray™ and Digital HD. Twentieth Century Fox Home Entertainment is a subsidiary of 21st Century Fox. Burbank, Calif., June 3, 2014 – On September 30, Warner Bros. Home Entertainment (WBHE) will honor one of the most celebrated motion pictures of all time with the Gone with the Wind 75th Anniversary Ultimate Collector’s Edition on Blu-ray™ and Digital HD with UltraViolet. Gone with the Wind — the quintessential Hollywood epic and still history’s all-time domestic box-office champion ($1.6 billion), with more tickets sold than any other movie ever made – is a “must have” for classic film collectors. It will be fittingly presented in limited and numbered sets, with new collectible packaging, new enhanced content and new collectible memorabilia. The memorabilia includes a replica of Rhett Butler’s handkerchief and a music box paperweight playing Tara’s theme with an image on top of the Rhett-Scarlett kiss. Also included is a 36-page companion booklet featuring a look at the immortal style of Gone with the Wind, written by New York fashion designer and Project Runway finalist Austin Scarlett, whose signature look reflects the romantic elegance of the Gone with the Wind era. The new special features include footage of Clark Gable and Vivien Leigh attending the original movie premiere in Atlanta and Old South/New South, a journey through today’s South, revisiting the real-life locations depicted to see how the world of the Old South continues to inform life in the New South’s cosmopolitan world. Gone with the Wind 75th Anniversary Ultimate Collector’s Edition will be available for $49.99 SRP. To commemorate the 75th anniversary of Gone with the Wind, the Harry Ransom Center at The University of Texas at Austin will launch the exhibition, “The Making of ‘Gone With The Wind.’” For the first time in more than 25 years, three original gowns worn by Vivien Leigh as Scarlett O’Hara, including the iconic green curtain dress, will be exhibited together along with replicas of the film’s other gowns. Additionally, more than 300 items from producer David O. Selznick’s archive will be displayed, including behind-the-scenes photographs, storyboards, correspondence, production records, audition footage and fan mail. Turner Classic Movies is one of the sponsors of the exhibition which runs from September 9 – January 4, 2015. On September 22, WBHE will partner with The Actors Hall of Fame in a special 75th Anniversary Gone with the Wind fundraising gala to benefit dramatic arts education in schools. Hundreds of stars and industry leaders will arrive ‘in costume’ at the historic Culver Studios where many key scenes of the movie were filmed. The gala will be streamed live from the Mansion on digital and social media around the world. Planned highlights of this special evening include the dedication of the Olivia de Havilland Dramatic Arts Education Center and a recreation of the famous Virginia Reel dance scene from the movie, with student actors in period costumes and a silent auction including Gone With The Wind memorabilia. For additional information on the events, go to www.hrc.utexas.edu and http://actorshalloffame.org/ respectively. Gone with the Wind, lauded as one of the American cinema’s grandest, most ambitious and spectacular pieces of filmmaking, was helmed by Victor Fleming in 1939, the same year as the director’s The Wizard of Oz. It captured 10 Academy Awards® including Best Picture, Best Actress, and Best Supporting Actress for Hattie McDaniel, the first Oscar awarded to an African-American actor. Margaret Mitchell’s Pulitzer-prize winning novel, on which the film is based, has been translated into 16 languages, has sold hundreds of millions of copies worldwide, and even now, continues to sell 50,000 copies a year. Clark Gable, Vivien Leigh, Olivia de Havilland, Leslie Howard and Hattie McDaniel star in this classic epic of the American South. On the eve of the Civil War, rich, beautiful and self-centered Scarlett O’Hara (Leigh) has everything she could want – except Ashley Wilkes (Leslie Howard). As the war devastates the South, Scarlett discovers the strength within herself to protect her family and rebuild her life. Through everything, she longs for Ashley, unaware that she is already married to the man she really loves (Gable) – and who truly loves her – until she finally drives him away. Only then does Scarlett realize what she has lost … and tries to win him back. Old South/New South NEW! Take a journey of discovery through today’s South, revisiting the real-life locations depicted in Gone With the Wind, from Gettysburg to Atlanta to New Orleans, to see how the world of the Old South – and the themes depicted in the film – continue to inform life in the cosmopolitan world of the New South. Note: All enhanced content and premiums listed above are subject to change. Academy Awards® and Oscar® are both registered trademarks and service marks of the Academy of Motion Picture Arts and Sciences. Blu-ray Disc™ and Blu-ray™ and the logos are the trademarks of Blu-ray Disc Association. Warner Home Video Blu-ray Discs™ offer resolution six times higher than standard definition DVDs, as well as extraordinarily vibrant contrast and color and beautifully crisp sound. The format also provides a higher level of interactivity, with instant access to extra features via a seamless menu bar where viewers can enjoy features without leaving or interrupting the film. Warner Bros. Home Entertainment (WBHE) brings together Warner Bros. Entertainment’s home video, digital distribution and interactive entertainment businesses in order to maximize current and next-generation distribution scenarios. An industry leader since its inception, WBHE oversees the global distribution of content through packaged goods (Blu-ray Disc™ and DVD) and digital media in the form of electronic sell-through and video-on-demand via cable, satellite, online and mobile channels, and is a significant developer and publisher for console and online video game titles worldwide. WBHE distributes its product through third party retail partners and licensees, as well as directly to consumers through WBShop.com and WBUltra. Digital HD with UltraViolet allows fans to watch a digital version of their movie or TV show anywhere on their favorite devices. Digital HD with UltraViolet is included with the purchase of specially marked Blu-ray discs. Digital HD with UltraViolet allows consumers to instantly stream and download movies and TV shows to TVs, computers, tablets and smartphones through UltraViolet retail services like CinemaNow, Flixster, Target Ticket, VUDU and more. For more information on compatible devices go to wb.com/ultravioletdevices. Consult an UltraViolet Retailer for details and requirements and for a list of HD-compatible devices. Burbank, CA, February 18, 2014 – Adventures abound as Bilbo, Gandalf and the Company of Dwarves continue their Quest through Middle-earth in “The Hobbit: The Desolation of Smaug,” a production of New Line Cinema and Metro-Goldwyn-Mayer Pictures (MGM), arriving onto Limited Collector’s Edition Blu-ray 3D Combo Pack, Blu-ray 3D Combo Pack, Blu-ray Combo Pack, DVD and Digital HD on April 8 from Warner Bros. Home Entertainment. “The Hobbit: The Desolation of Smaug,” the second in a trilogy of films adapting the enduringly popular masterpiece The Hobbit, is directed by Academy Award®-winning filmmaker Peter Jackson, who also produces together with Carolynne Cunningham, Zane Weiner and Fran Walsh. “The Hobbit: An Unexpected Journey” was the number one 2013 home entertainment title across physical and digital accounts in the U.S.
“The Hobbit: The Desolation of Smaug” will be available on Limited Collector’s Edition Blu-ray 3D Combo Pack for $105.43, Blu-ray 3D Combo Pack for $44.95, Blu-ray Combo Pack for $35.99 and 2-disc DVD Special Edition for $28.98. The Limited Collector’s Edition Blu-ray 3D Combo Pack includes two Gates of Erebor replica bookends from the Noble Collection and features the theatrical version of the film in 3D hi-definition, hi-definition and standard definition; only 25,000 will be available in the U.S. The Blu-ray 3D Combo Pack features the theatrical version of the film in 3D hi-definition, hi-definition and standard definition; the Blu-ray Combo Pack features the theatrical version of the film in hi-definition on Blu-ray; and the DVD features the theatrical version in standard definition. All versions include a digital version of the movie on Digital HD with UltraViolet. * Fans can also own “The Hobbit: The Desolation of Smaug” in Digital HD on April 8 via purchase from digital retailers. Having survived the beginning of their unexpected journey, the Company travels East, encountering along the way skin-changer Beorn and a swarm of giant Spiders in the treacherous forest of Mirkwood. After escaping capture by the dangerous Wood-elves, the Dwarves journey to Lake-town, and finally to the Lonely Mountain itself, where they must face the greatest danger of all–a creature more terrifying than any other; one which will test not only the depth of their courage but the limits of their friendship and the wisdom of the journey itself–The Dragon Smaug. Blu-ray and Digital HD include bonus content featuring interviews with the all-star cast! Burbank, CA, February 19, 2014– Past-their-prime boxers pack a comic punch in “Grudge Match,” arriving onto Blu-ray Combo Pack, DVD and Digital HD on April 8 from Warner Bros. Home Entertainment. “Grudge Match” stars Oscar® winner Robert De Niro (“Raging Bull,” “Silver Linings Playbook”) and Oscar® nominee Sylvester Stallone (the “Rocky” films, “The Expendables”) as old boxing rivals who come out of retirement for one final match. Peter Segal (“Get Smart”) directs the comedy, which also stars Kevin Hart (“Think Like a Man”) as Dante Slate, Jr.; Oscar® winner Alan Arkin as Razor’s former trainer, Louis “Lightning” Conlon, who gets to put Razor through his paces again; and Oscar® winner Kim Basinger (“L.A. Confidential”) as Sally Rose, who was once the love of Razor’s life. “Grudge Match” will be available on Blu-ray Combo Pack for $35.99 and on DVD for $28.98. 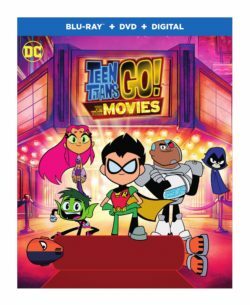 The Blu-ray Combo Pack features the theatrical version of the film in hi-definition on Blu-ray, and the DVD features the theatrical version in standard definition. Both include a digital version of the movie on Digital HD with UltraViolet. * Fans can also own “Grudge Match” in Digital HD on April 8 via purchase from digital retailers. In “Grudge Match,” Billy “The Kid” McDonnen (De Niro) and Henry “Razor” Sharp (Stallone) are two local Pittsburgh fighters whose fierce rivalry put them in the national spotlight. Each had scored a victory against the other during their heyday, but in 1983, on the eve of their decisive third match, Razor suddenly announced his retirement, refusing to explain why but effectively delivering a knock-out punch to both their careers. Thirty years later, boxing promoter Dante Slate, Jr., seeing big dollar signs, makes them an offer they can’t refuse: to re-enter the ring and settle the score once and for all. But they may not have to wait that long: on their first encounter in decades, their long-festering feud erupts into an unintentionally hilarious melee that instantly goes viral. The sudden social media frenzy transforms their local grudge match into a must-see HBO event. Now, if they can just survive the training, they may actually live to fight again. Since meeting at a party, ambitious Nat and struggling novelist Josh have been deliriously happy despite their differences. The spark between them is undeniable. Their wedding is a dream come true, but family, friends and even the minister who marries them aren’t convinced that they can last. With their first anniversary approaching, Josh’s ex-girlfriend, Chloe, and Nat’s handsome American client, Guy, could offer attractive alternatives.